Tata Motors has moved on to the IMPACT 2.0 design language and all their upcoming products will be based on the new design theme. The first vehicle that will get the IMPACT 2.0 design is the Tata Harrier that will be launched next year. Tata is also expected to update their present products with the new design in the future. Here is what the Tata Winger will look like if it gets the IMPACT 2.0 design language. The Tata Winger is a large van that can be utilised in multiple ways. Tata offers the Winger with 9 to 13 seats making it quite useful for many. It is even used as ambulances and motorhomes. However, the Winger in its current form looks quite boring. The rendered image above shows what the future Tata Winger may look like. The versatile vehicle gets an all-new front that looks much sleeker. There is a new grille with the “TAMO” brand name, which was introduced by Tata Motors with the RaceMo concept. The big van gets a big makeover and the headlamps have also been updated with sleeker LED lamps. The lower part of the front gets a very aggressive styling. It gets integrated foglamps and a bumper spoiler. The Winger shown in the picture also gets flared wheel arches and 18-inch alloy wheels. The all-black Winger looks extremely sporty. 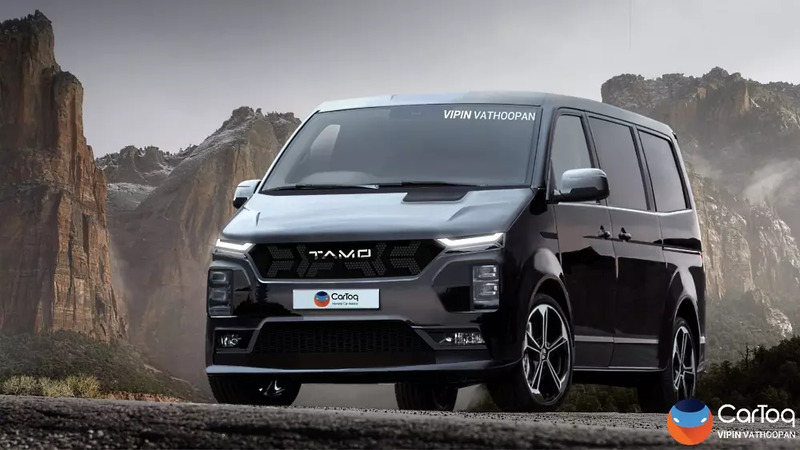 Even though the render is a wild imagination of the upcoming van and we hope that Tata adds these features to the vehicle, the vehicle is sold in the commercial market too and such sharp design may not fit the segment. However, there are many enthusiast buyers who may just choose the Winger because of its aggressive looks. The Winger takes on the likes of Force Traveller and is used by many. The Winger is powered by a 1,948cc diesel engine that generates a maximum power of 91 Bhp and 190 Nm. The Winger gets features like individual charging ports and individual AC vents for convenience and comfort of the passengers. The vehicle is quite spacious too.